When I told my family and friends I’d be spending the first month of my South American stay in Cuenca, Ecuador, most of them just asked, well, where the heck is that? The tranquil city of Cuenca is situated at a mere 8,400 ft above sea level (don’t worry the altitude isn’t too bad!) in the South of Ecuador. 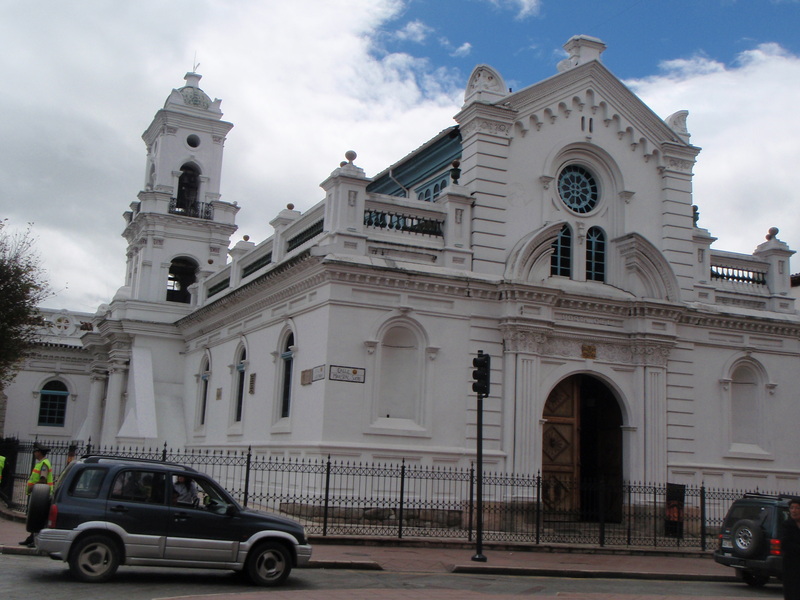 Home to nearly 500,000 people, Cuenca is Ecuador’s third largest city and due to the high volume of museums, live music, and art galleries, the country’s cultural hub. Although I’ve only been here for a few weeks, I’ve fallen in love with this city and have discovered just why you should check it out too. It’s a 45-minute walk from my host family’s home to my school, but it’s not as long as it might sound. In fact, my commute is definitely one of the best parts of my day. Cuenca has breathtaking 360-degree mountain scenery, so no matter which direction you’re walking, you’ll definitely catch a glimpse of these tranquil giants. For an up close trip, catch the bus to El Cajas National Park (about 90 minutes) where you can hike mountains and explore the lagoons. The forests are home to “Paper Trees” (the trunks look as though they’re covered in brown tissue paper), and Cajas is famous for it’s extensive bird population so keep your eyes peeled. Getting to Cajas: As far as transportation goes, there are plenty of buses that you can catch to Cajas. However, if your main concern is convenience, a cab ride will only cost about $15.00 in cab fees. 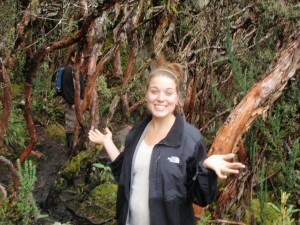 Side Note: The weather in Cajas varies throughout the day, so pack layers. I brought a long sleeve t-shirt, yoga pants, a fleece, and a raincoat. For footwear, rain boots or tall waterproof hiking boots are your best bet as far as footwear goes; it can get muddy! athedrals (the new cathedral and the old one), trees, tropical flowers, and people of all sorts (shoe shiners, vendors, artists) carrying out their daily routines. It’s the best place in town to people watch, so grab a lunch to-go or a cup of coffee and check it out. If you’re a museum and art gallery buff, check out the Casa Paredes Roldán Panama Hat Factory and Museum (Calle Larga 10-41 between Padre Aguirre y General Torres). Here, you can learn what it takes to make beautiful hand-made hats of all shapes, sizes, and colors, and you can even purchase one to protect yourself from those Equator-strength rays. 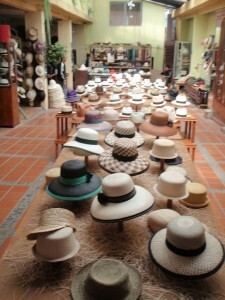 Many celebrities including several past Ms. Universes have visited this historic establishment to add a handmade Panama hat to their collection (for more info check out www.sombrerosecuatorianos.com). 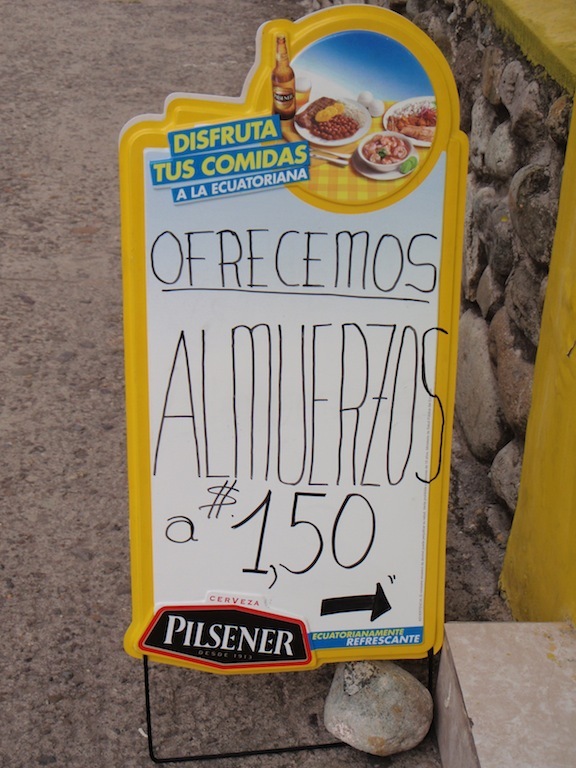 For all you Lost Girls laying low during the recession, Cuenca is a good place to travel and spend less. In 2000, due to inflation and a failing economy, Ecuador switched to the U.S. dollar, so you’re not dealing with conversion rates. 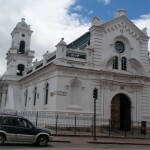 Once you get to Cuenca, no matter where you want to travel within the city, cabs should cost no more than $2.50. Side Note: It’s appropriate to bargain with cab drivers because they don’t use meters, so make sure you are not getting ripped off). Not only is it affordable (& easy) to maneuver through this charming city, but just about everything you want to buy, do, or see will be less expensive than in other popular vacation destinations. If you are looking for gifts/ souvenirs, check out what locals call the “Hippe Plaza.” This outdoor market, located close to the center of the city, offers cart after cart ofjewelry, watches, and handmade trinkets, all costing no more than a few bucks a piece. For you hopeless romantic Lost Girls, do not miss the Plaza de Flores where your lover can buy you a dozen brilliantly colored roses for around $2.00. The good gets even better when the sun goes down (around 6:30PM year round). The hundreds of bars and clubs are dirt cheap, pulling a 22 oz. 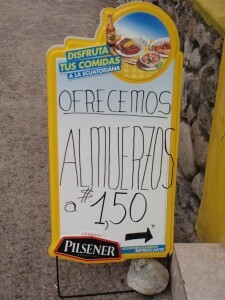 Pilsner (Ecuador’s most popular beer) for just $1.20-$1.50. A glass of wine ranges from $1.50 to $2.50. 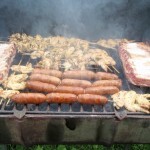 Happy Hour is celebrated at different times for different restaurants, so be sure to check the specials. For example Monday Blue (on the corner of Calle Luis Cordero & Calle Larga), not only has an extensive list of cocktails–beware they are fuerte (strong)– but everyday from 4-6PM, you get two for one. Not a bad way to kick off your evening! At La Viña Restaurant and Pizzeria (on the corner of Calle Luis Cordero 5-101 & Calle J. Jaramillo) you can get a jarro de vino (about 8-10 glasses) for $10. Not to mention their pasta is made in-house and costs $6 for a huge serving. Go salsa dancing if you love to get your groove on, or check out the live music. Thursday-Saturday are the best club nights, but some places offer live music nightly. One of my favorites is the Restaurant/ Lounge La Parola (on Calle Larga next to the Escalinatas). The drinks are slightly pricier (a glass of wine is $3 and mixed drinks are $3-$4), but the ambiance is trendy and you get great panoramic views of the city. Everything here is SUPER fresh. Fresh fruit, fresh veggies, fresh cheese, fresh bread, fresh meat—FRESH EVERYTHING! 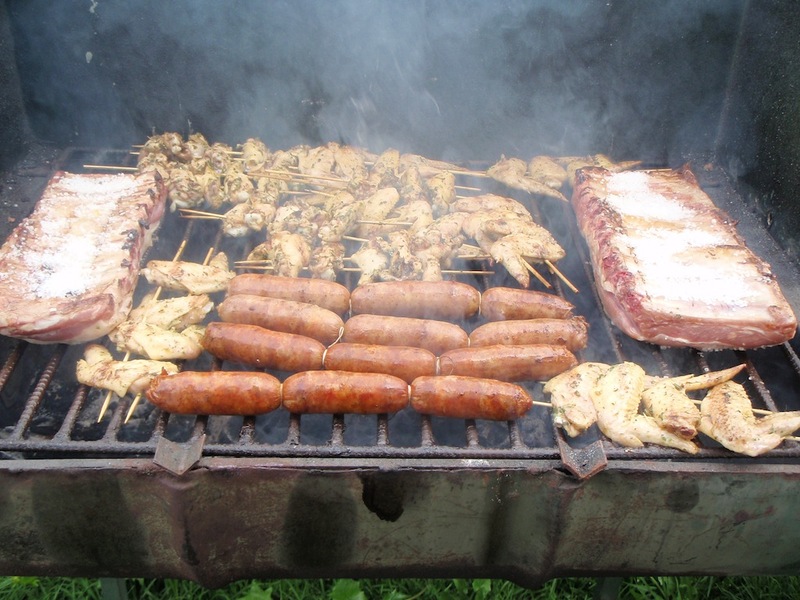 Taste: Pollo al Horno (Roasted Chicken) or one of my favorite typical dishes Churrasco (Beef and vegetables served with rice, avocado, French fries, and topped off with two fried eggs). This dish will definitely leave you satisfied, and in most places it will cost you no more than $5. 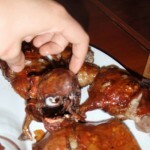 Cuy (or Guinea Pig) is a delicacy here, much the same way lobster tail is considered in the U.S.A. It tastes a lot like the dark meat of a chicken with a garlic undertone. The best cuy in Cuenca is served at the restaurant, Guajibamba (Luis Cordero 12-32), and although it is $19, it comes with a big bowl of potatoes and can be split about four ways (depending on how much each person eats). 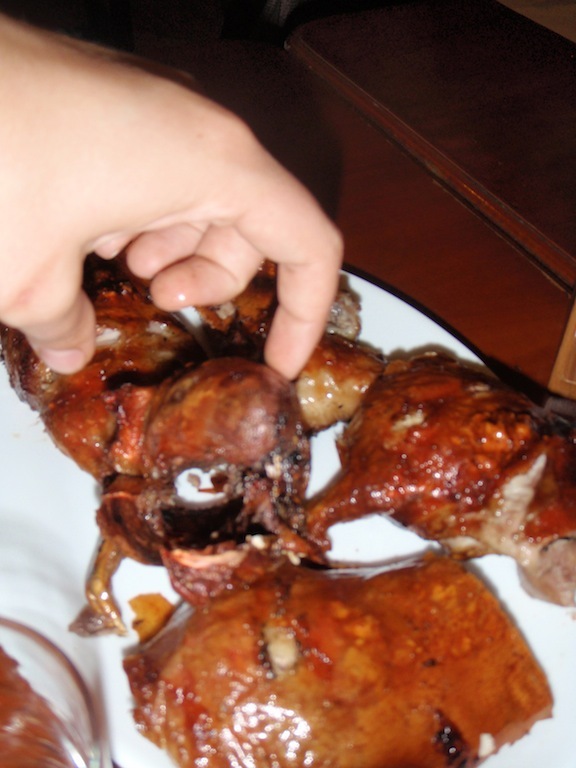 Also, the wait staff at Guajibamba will be more than happy to take you out back and show you where they cook the cuy… when in Rome, eat Pasta, and when in Ecuador, try cuy! For vegetarian travelers, a best eat is the fresh bread baked daily at one of the hundreds of panaderias (or bakershops)located throughout the city. You can get a giant croissant stuffed with ham and cheese for $0.15 or to satisfy a sweet tooth, a pastry baked with chocolate for about $ 0.12. Even for carb-phobias, the aroma of the fresh bread that floods the streets of Cuenca might be enough for you to abandon your Atkins regimen. Eating Healthy: Try the unique fruits and veggies. One of my favorite discoveries is mote (a type of corn where each kernel is about the size of a nickel). My host family serves mote with lunch almost everyday, and it tastes great in soup, with salt, in mote pillo (mote with eggs). Fruit fans, you are in luck too. 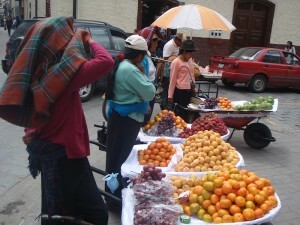 Because of the consistently warm climate in Ecuador, passion fruits are immensely popular and inexpensive. Each morning my host mom serves me sliced papaya, pineapple, and sometimes a sweet tree fruit called Grenadilla (where you eat the seeds just like a pomegranate). Bananas are extremely popular with giant strawberries and grapes the size of gumballs not too far behind. So after being here for about two weeks, many of my friends and family have been asking my overall opinion of the “mysterious” Cuenca, Ecuador. The only way I can do it justice is by saying that I can spend half the money, enjoy double the beauty and culture, and consume some of the freshest food in the world. It’s all good here in Cuenca, Ecuador. Lost Girl Leah Moushey, you are wonderful! Not only are you a brilliant writer but you are creative and inspiring! Perhaps we can get acquainted once you return from your trek! Worthless for the vast canvas, but I’m truly amatory the new Zune, and plan this, as substantially as the fantabulous reviews whatsoever opposite fill hit scripted, module aid you determine if it’s the rightist superior for you. Hi there, Well put together post. It comes with an issue with all your internet site around internet explorer, would check this? Web browser however could be the marketplace chief in addition to a huge a part of people will probably miss out on ones great publishing for this problem.